His plan is to help buyers and sellers to complete real estate transactions entirely online. And Auction.com isn’t the only firm working toward that goal. A number of companies, including Xome, Hubzu and Opendoor, are building service models that have remained frustratingly out of reach for years: end-to-end platforms that shepherd consumers through the entire homebuying or selling process. Some have predicted the emergence of such products would chip away at the relevance of real estate agents. Instead, these platforms appear to be doing just the opposite: affirming real estate agents as integral to the homebuying and home-selling processes. Xome, which launched earlier this week, appears to be the only company that supports end-to-end online homebuying and selling experience so far. Those are all services that real estate agents have traditionally either helped clients understand or provided themselves. So you might expect Xome to market its platform as an option for buyers or sellers who don’t want to work with real estate agents. A screenshot from Xome’s site. On the contrary: Xome has woven agents into the fabric of its product. 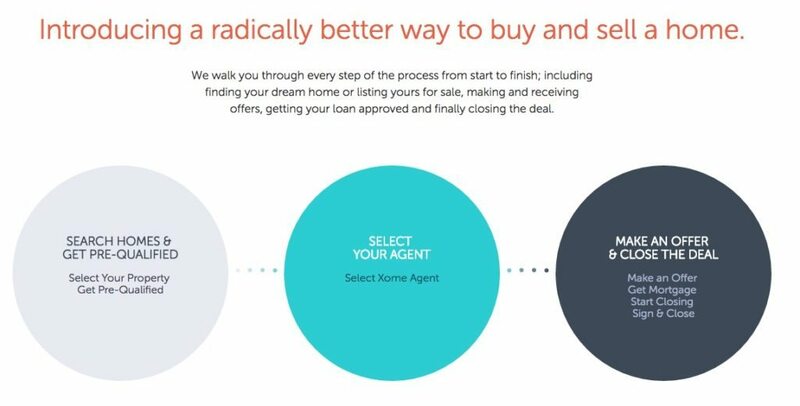 Buyers and sellers cannot accept or make offers through the platform until they’ve selected an agent on Xome. Sure, Xome earns referral fees off real estate agents, but it also portrays them as integral to real estate transactions. 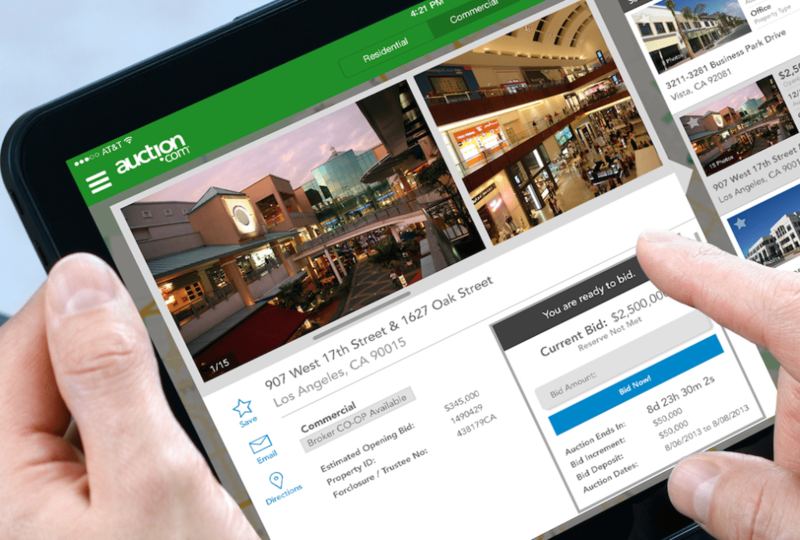 Auction.com, whose online auction platform has traditionally served real estate investors, is also crafting an end-to-end experience for consumers. The company has been testing new features on its platform that cater to owner-occupant buyers, like a “buy it now” option that lists a price a buyer could pay to bypass an auction. And it’s “very likely,” said Auction.com Executive Vice President Rick Sharga, that the firm will soon provide a mortgage financing portal to everyday buyers, similar to one Auction.com recently rolled out for commercial real estate buyers. Nearly all of Auction.com’s listings have an agent involved on at least one side of the transaction, and the firm is implementing programs for buyer’s agents who work for investors and traditional homebuyers, Sharga said. Hubzu has also mounted a push to build out an end-to-end experience for mainstream buyer and sellers. When asked why more everyday homeowners (as opposed to investors) don’t use Hubzu to sell their properties, Eric Eckardt, vice president of online real estate at Altisource, Hubzu’s parent company, recently told Inman that Hubzu would soon announce news regarding owners.com, which Altisource acquired for $27 million last year. A screenshot from Hubzu’s site. It’s not hard to imagine that Hubzu might enable sellers who list their properties on owners.com to also make their homes available for purchase on Hubzu. To polish off an end-to-end experience, Altisource could conceivably integrate the title and mortgage services part of its portfolio into Hubzu’s platform, much like Xome does. Altisource may have a for-sale-by-owner project in the works, but Eckardt stresses that real estate agents have been “instrumental to the success” of Hubzu. Only real estate agents — 150,000 of whom have registered on Hubzu — can list properties on the website. And by displaying agent advertising on listing pages, Hubzu promotes the use of buyer’s agents, Eckardt added. “There’s still a role for that traditional agent, which we’re not disintermediating,” he said. Opendoor, which uses analytics and technology to buy homes at lightning speed, spruce them up and then sell them, takes another approach to streamlining real estate transactions for consumers. Homeowners who use the service can enter their address and basic information to receive an offer within minutes. They can then complete nearly the entire transaction online and close in as little as three days. A natural next step for the company would be to offer financing to buyers through a partner lender, or even originate mortgages for buyers itself. Wu said it’s thinking those options over. 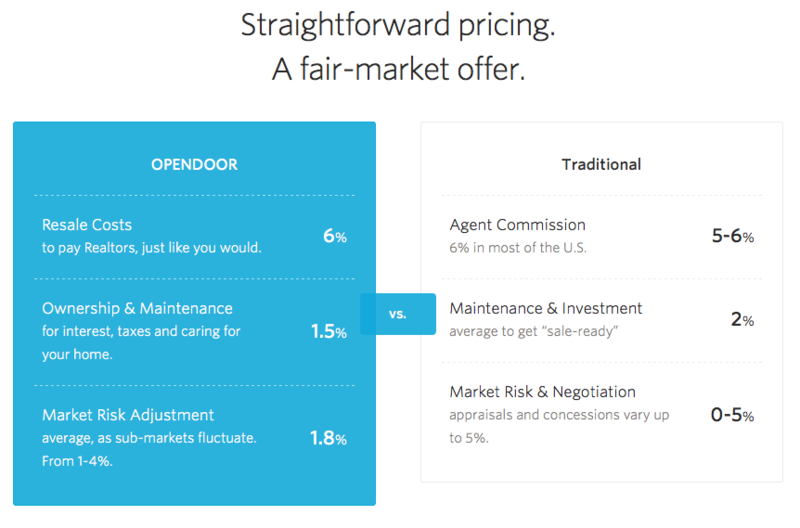 Opendoor also accommodates real estate agents. It employs salaried listing agents to market its properties, and it offers a 3 percent commission to buyer’s agents through the local MLS. It’s business models like this that are driving real estate into uncharted territory. There’s every reason to believe that, at least in the foreseeable future, real estate agents will be along for the ride. Auction.com’s Sharga expects that a majority of real estate transactions will take place online within the next 10 years, fostering a range of service models for buyers and sellers that resemble those that have taken hold in the financial services market.